RALPH DECESARE, CFA, CAIA is Vice-President & Director and Head of credit research for TD Asset Management. As part of the Toronto-based TD Bank Financial Group, one of the largest banks in North America, TDAM manages over US$250 billion in assets under management on behalf of pension, insurance, endowment/foundation and corporate clients, as well as for high-net worth individuals and retail mutual funds. 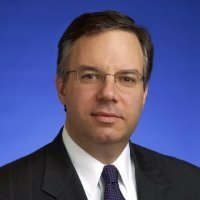 Prior to joining TDAM, Ralph was a director of fixed income research at Merrill Lynch Investment Managers from 1990 to 2006. Responsibilities included leading a team of fixed income analysts that helped manage over $150 billion in fixed income assets including mutual funds, money market and institutional accounts. Ralph also has had two separate terms at Standard & Poor’s Corp. as a debt ratings analyst, covering multiple industries including electric utilities, natural gas and financial institutions. Ralph earned an MBA in finance from Fordham University, and a B.S. in finance from the University of Arizona. Ralph is a Past President of the Fixed Income Analyst Society, Inc., a 250+ member non-profit professional organization that furthers the education and careers of its members, and is the sponsor of the FIASI Hall of Fame. Ralph is a member of the CFA Society of New York and the Canadian Bond Investors Association. He is a CFA charterholder and Chartered Alternative Investment Analyst. He serves on the Board of Gibney Dance, a non-profit in New York City.